What a great weekend to have a show. With last years show just about rained out, there wasn’t a drop to be found anywhere this year. The 20th Anniversary Mid-Atlantic Chevelle Show & Swap/ACES Northeast Regional was a huge success with record breakers in all areas; vendors, spectators and entrants! 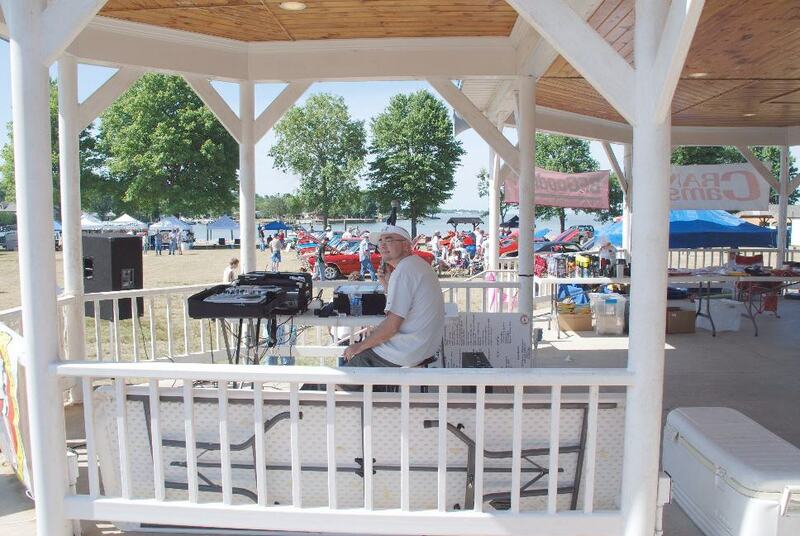 Starting on Friday, June 21, 2007, the MCC crew was scheduled to arrive around 11 A.M. to start setting up the show field. It wasn’t long after that Tom Rightler received a call from the MCC President, Donnie Gates, that he had tangled with an 18-wheeler on the way to the show and was in need of some help. Tom and his dad, Scott, dropped what they were doing and were on the way. As most of the crew are “old Pro’s”, they continued to set things up and in just a few hours, the field was ready to go. A few of the vendors had arrived and were directed to their assigned area. Each year the number of participants arriving on Friday increases. This has become a 3-day event! Around 6 P.M., around 45 attendees made their way to the Nottingham Inn for dinner. This was a change to the previous years, where the Elton Diner had been the host. We were graciously welcomed and seated right away. Whether a light meal or an all out feast was desired, there was plenty on the menu to pick from. The cream of crab soup and crab dip were very popular items and delicious to say the least! After dinner it was off to the hotel for some serious “bench racing”. Before we knew it, the alarm clock was going off and it was Saturday Morning. A quick shower, a light breakfast and off to the field we went. The forecast for the weekend was cool (if you call the mid 80’s cool) and sunny. Luckily with the park being located next to the water, there was a sweet breeze. As Walnut Street was experiencing some construction woes, the show cars were brought in on the next street over, Cherry St. 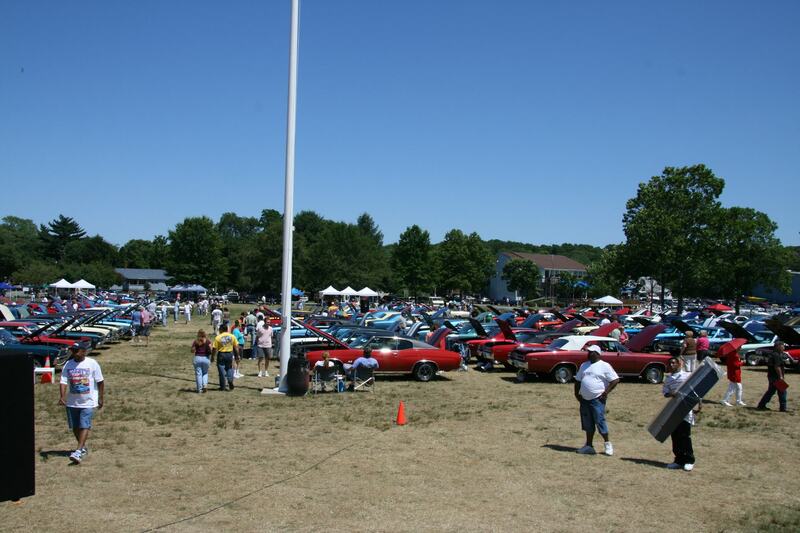 Instead of entering the show field by the Gazebo, the cars entered in the far right corner of the field and were then directed to the appropriate parking area according to class. This actually worked out very well as there was little traffic on Cherry Street. The vendors and spectators were brought down Walnut St. as in the past years and directed accordingly. By 11 A.M, the field was nicely taking shape with well over 125 cars and many more on the way! Pat McTighe was kept very busy with over 40 vendors arriving early Saturday morning. Vendors were lined up all the way down the left side and across the bottom of the show field. The major sponsor/vendor area was packed as well! Registration was working extremely hard and kept the line moving well. Very seldom did it get more than 5 deep! Kra-Z was spinning the tunes and doing what he does ... acting KRA-Z! The show was in full swing!